The National Beats | OK Listen! 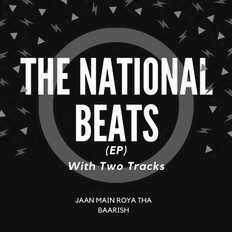 The National Beats is an Indian Pop Rock band established on 31th January 2009.The group's original lineup comprised by Sauparna Manna,Joydeb and Subha.The group is Born in Town Jhargram. 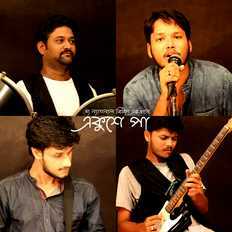 Then they move in Kolkata for their debut album.TNB sign An EP Album Contract with Octave Audio Studio. 28th September 2014 they officially release their 1st debut Album (EP) called "Road Side Garden". When "RSG" was made "Saon (Bassist)" join the band. After release their album they attend an Interview in 104 Fever Fm Kolkata. TNB reach 1st position for local area Artist and nationally they grab 5th position in reverbnation.com . They hold their 1st position in local area artist until 100 Days. The National Beats work in many short films like “The Superhero”, "Dalal". 1st December 2015 The National Beats release a single called "Jhorer Bege". After "Jhorer Bege" they make a Hindi single song called "Jaan Main Roya Tha”. TNB release the song via Hungama.com . Now They Work On their First Hindi Debut Album (LP).